I’m back! It turns out it is very hard to blog from a hot tub. I needed both hands to hold my cocktail. I did a five day ski camp. I am now at the level I thought I was when I arrived. I’m good. Not great. But good. I’m happy with good. I only ended up on my back with my legs in the air once. We’re talking about skiing people. I stayed at a very nice hotel. How nice? 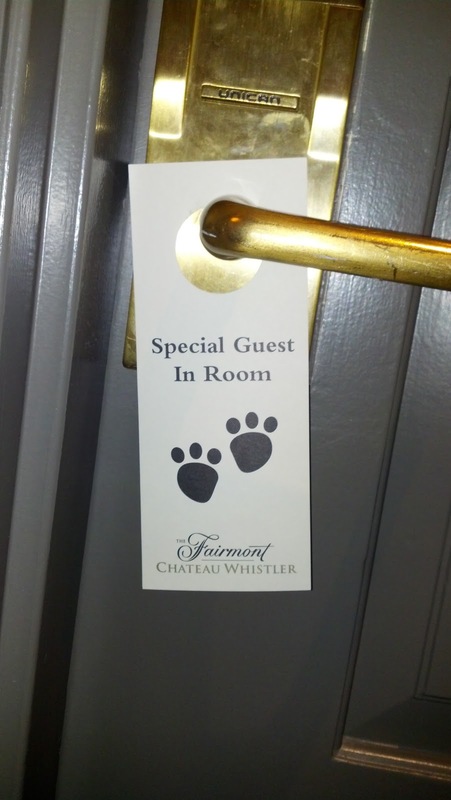 There’s room service for doggies. You get to ski all day and they don’t have to get out of bed; they can charge all the gizzard pudding they want to the room. 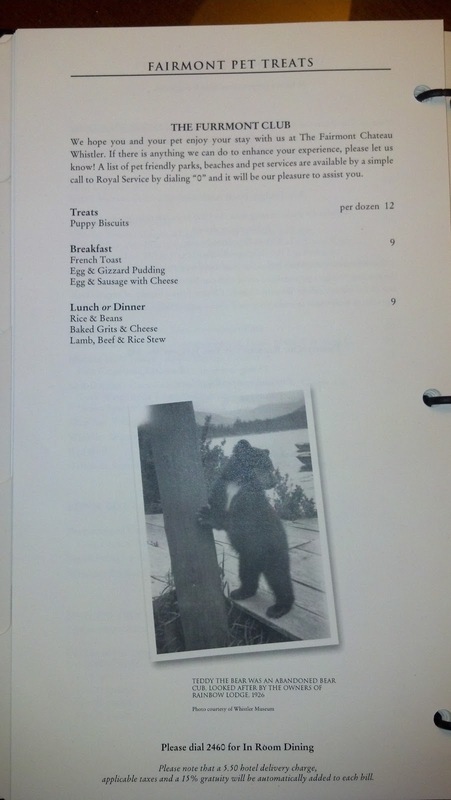 The room service for human beings is exorbitant: $32 for a basic breakfast. It makes the doggie french toast for $9, plus $5.50 delivery charge, plus automatic 15% gratuity look like the way to go. I wave a wet arm in the air, I want one too. With that he moves to another seat further away. I sip my beer. He showed me. You’re right, I have free hand.